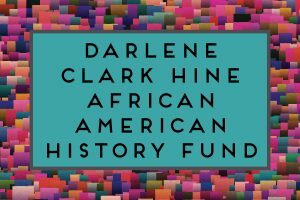 We cannot think of a more fitting way to celebrate Black History Month than to announce University of Illinois Press’s newest giving opportunity, the Darlene Clark Hine African American History Fund. The mission of this fund is to continue the legacy of Dr. Hine’s commitment to mentorship and scholarship by supporting Black studies publications at Illinois. Contributions to this fund will support the Press’s premier Black studies list, which has expanded and enriched the field of Black studies and helps to build a greater understanding of the African American experience in its myriad dimensions. Dr. Hine is a prolific author, a National Humanities Medalist, and a teacher and mentor to many. 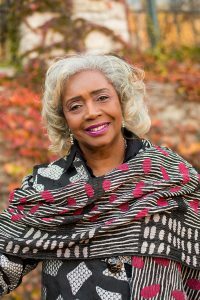 Darlene has been instrumental to the growth and success of UIP’s Black studies program, particularly through her work on The New Black Studies Series, which she coedits with Dwight A. McBride. However, “Darlene’s influence on our Black studies publishing program can be seen well beyond the series,” says senior acquisitions editor Dawn Durante, “in the breadth of the Press’s commitment to African American history and culture and particularly African American women’s and gender studies.” We are grateful to Darlene for allowing us to honor her with this fund, and we invite you to join us in building resources to sustain the work of the next generation of Black studies scholars. What types of books will the DCH Fund support? The DCH Fund will support African American studies books published by University of Illinois Press. Will DCH Fund only support books published in The New Black Studies Series? No, any book on African American studies will be eligible for support. Is funding from the DCH Fund the same as a subvention? Sort of! One purpose of the fund is to support books by authors who do not have institutional subvention support available to them. Can I receive support from the DCH Fund if my African American studies book is being published by another Press? We’re afraid not. This is a UIP fund, and is only able to support books that are published by University of Illinois Press. Is the DCH Fund the same as the Darlene Clark Hine Award? No, the fund is not connected to the Darlene Clark Hine Award given by the Organization of American Historians. You can learn more about the book award here: https://www.oah.org/programs/awards/darlene-clark-hine-award/. How can I contribute to the fund? We are so glad you asked! To learn more about ways to support the fund and the press, please visit https://www.press.uillinois.edu/giving/clark_hine_fund.html or contact Julie Laut, PhD., Outreach & Development Coordinator, at jlaut2@illinois.edu or 217-300-4126.